Last week, the fashion world was mesmerized with the exciting fashion show by Rizalman for ZALORA. The designer’s Raya collection this year is inspired by the capital of India’s Rajasthan state, Jaipur consisting of over 100 designs. 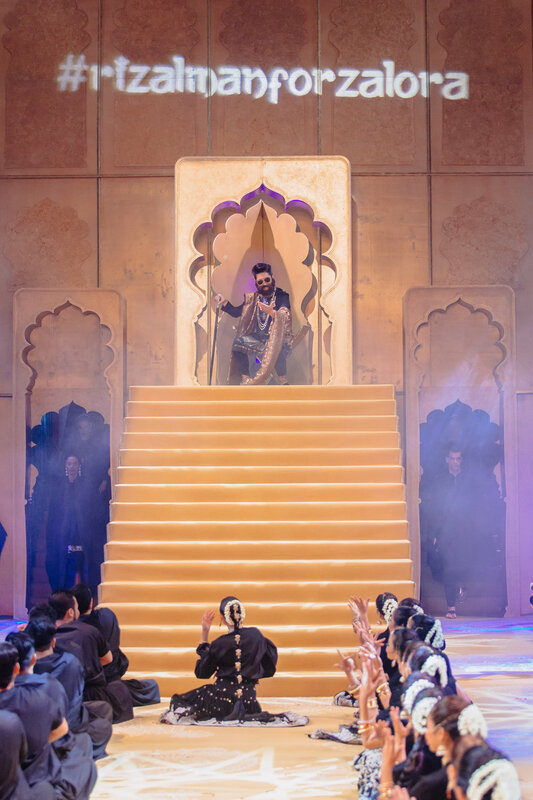 The fashion show started with a remarkable Bollywood dance which captured all the guests’ attention experiencing the festive Bollywood scene. As the performance ended, Rizalman came out with a bearded face look wearing a kurta from under the stage onto a majestic platform and brought out his muse for this collection, the lovely Izara Aishah. 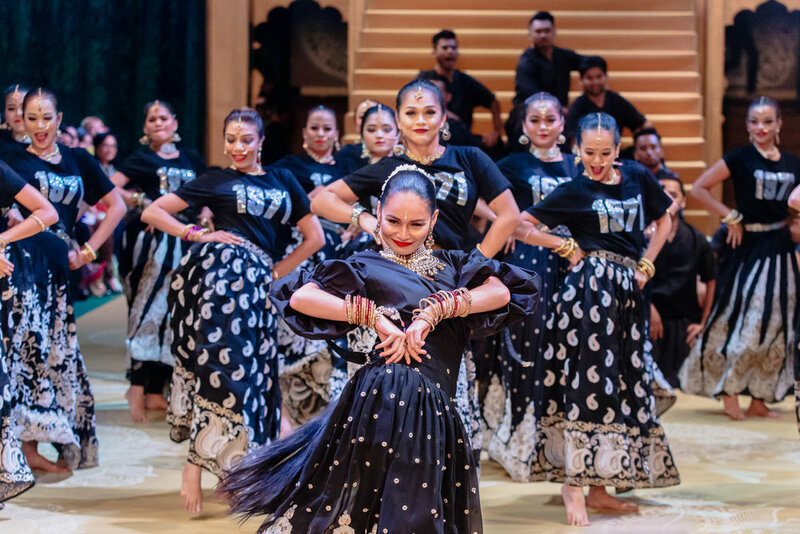 As models cascade down the runway, guests were presented with the designs from Rizalman for ZALORA which reflects traditional Indian silhouettes with stunning curated embellishments and textiles. Portraying designs for men and women, Rizalman for ZALORA collections play with bold rich tones and Indian inspired prints. From saree cuts, signature draping and pleats definitely gives a rich twist to the traditional wear of baju kurung as well as baju melayu. The use of heavy crepe, brocade, velvet and laces absolutely enhances the classic glamour of the Bollywood world. Overall the Rizalman for ZALORA fashion show was a total success with hosted 600 guests of celebrities, partners and media. Among the guests spotted during the fashion show were ZALORA’S Chief Operating Officer, Giulio Xiyolannis, ZALORA’s Managing Director, Rostin Javadi and celebrities such as Ziana Zain, Marsha Milan, Rozita Che Wan, Fara Fauzana and more. The Rizalman for ZALORA collection is made available exclusively now on ZALORA for Raya.